Alessandro Volta (formally Alessandro Giuseppe Antonio Anastasio Volta) was an Italian scientist best known for inventing the battery. He was born to a noble family in Como, Italy in February 1745. He did not learn to speak until he was four, which led his family to fear that he had learning disabilities. These were entirely unfounded, and Volta gained mastery not only over his native language, that is, Italian but also French, German, Latin and English. Despite being part of the nobility, his family was not wealthy and when Volta was 7 years old, his father passed away, heavily indebted. Volta was taught at home by his uncle until he was 12, after which he enrolled at a Jesuit boarding school where he studied for free. However, he left after a few years because they expected him to join the priesthood, whereas Volta wanted to embark on a career in science. After this he studied at the Benzi Seminary until the age of 18. Volta published his first scientific paper in 1769, titled “On the Forces of Attraction of Electric Fire” which he sent to a prominent physicist named Giambatista Beccaria in order to discuss his ideas with him. A couple of years later, he published another paper describing an electrical generator that he had built. These publications gained Volta a favorable reputation in scientific circles and he was appointed as a teacher of natural philosophy at the Liceo of Como in 1774. One of his major breakthroughs came shortly after, which was a device known as electrophorus. Although it had been invented earlier by Johann Wilcke in 1762, Volta is thought to have worked and arrived at his conclusions independently. His design was an improvement on Wilcke’s and as its use became widespread throughout laboratories in Europe, Volta’s reputation as a distinguished scientist was further strengthened. Volta was also involved in the study of gases, particularly methane, which he studied at length after noticing the bubbling of water in a marsh. He collected some of it and found it to be highly combustible. This led him to develop another device, known as “Volta’s Pistol” which was a rudimentary version of an internal combustion engine. In 1779, Volta accepted the position of chair of natural philosophy at the University of Pavia. Around this time, he also engaged in an intellectual disagreement with another prominent Italian scientist named Luigi Galvani. Galvani had been conducting experiments with frogs when he noticed that the leg of a dead frog twitched when hanging from a brass hook and touched with a scalpel. He concluded that an electrical charge was naturally found in animal tissues whereas Volta tried to prove that the twitching was merely a sign that an electrical current had passed between two metals. Both were partly right, but the issue was much discussed and debated in scientific circles. Volta was best known for inventing the voltaic pile in 1800. This was a series of metallic discs separated by pieces of cardboard soaked in acid or salt solution. This apparatus could be used to generate a continuous electrical current, that is, it was the world’s first battery. It brought Volta much appreciation and aplomb, not only within the scientific community but by the likes of the Emperor Napoleon as well, who called Volta to Paris in 1801 for a demonstration. Napoleon was so pleased with Volta’s accomplishments that he bestowed many titles and honors on him, including a gold medal, a pension and the positions of cavalier, senator and count. 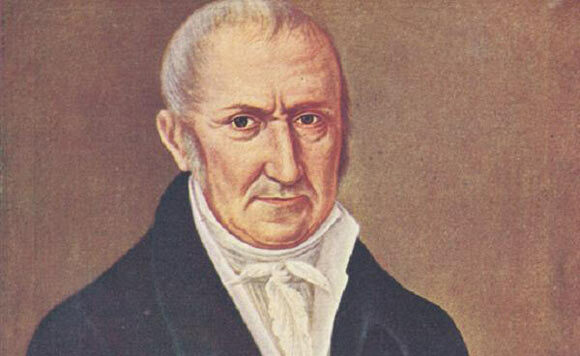 In later life, Alessandro Volta became more involved in his political career and in 1819 he retired to his family estate. He died in 1827 at the age of 82. The term volt, used to describe the unit of electrical power, is named in his honor.